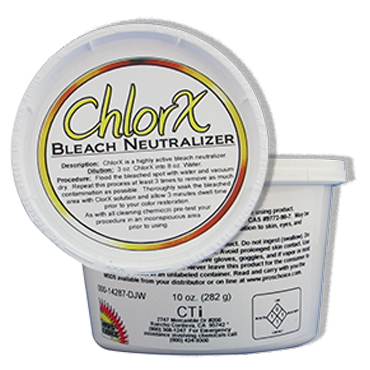 Pro’s Choice Color Modifying Cosmetics are a great way to cover bleach spots. A very simple and easy recoloring of bleach spots using Color Modifier Cosmetics (CMC). 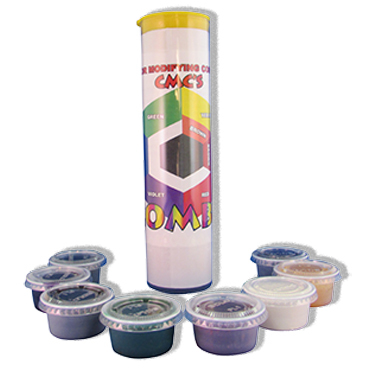 These dyes are wax based. Easily applied and require no mixing. Easy to adjust, lighten, darken or remove. 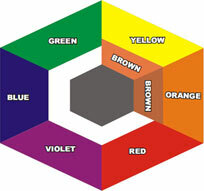 Pro’s Choice Color Modifying Cosmetics are a great way to cover bleach spots on carpets and rugs. If you are correcting a spot on gray carpet, you will be using the Gray/Black CMC. 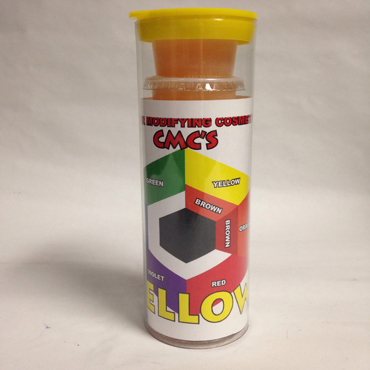 If you are correcting a spot on a tan or brown carpet, you will be using the Tan/Brown CMC. 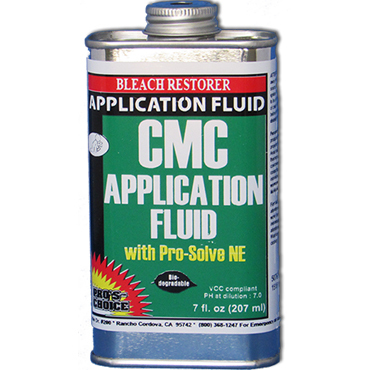 Apply a conservative amount of Pro-Solve NE (soon to be renamed “CMC Application Fluid”) to the bleached fibers and rub the fibers lightly with the CMC to transfer color onto the fibers. 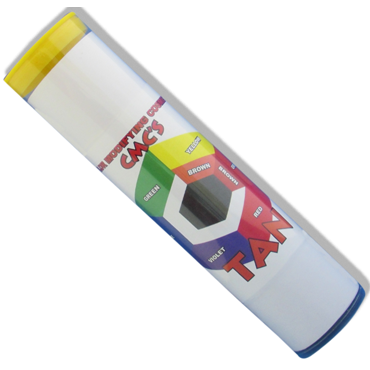 Work the color into the fibers with a Carpet Shark. NOTE: Pro-Solve NE is not the same product as Pro-Solve Liquid! If excess color is applied, dampen a terry towel with Pro-Solve NE and wipe away the excess color. Once dried, Pro’s Choice CMCs are considered semi-permanent. However, an aggressive solvent will remove them.